In the central niche, on the left: statue of Venus Felix, copy of the Aphrodite of Cnidos by Praxiteles, with portrait head reminiscent ot the young Faustina of about 170 A.D. 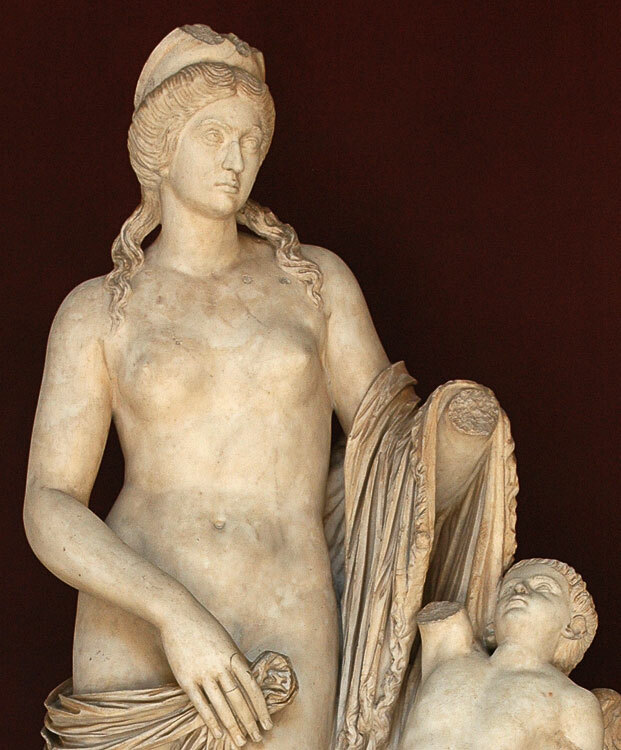 According to the inscription on the plinth, the statue was dedicated to Venus Felix by Sallustia and Helpidus. © 1986 Text: Guide to the Vatican: Museums and City. Pontifical Monuments, Museums and Galleries. Tipografia Vaticana, p. 42.